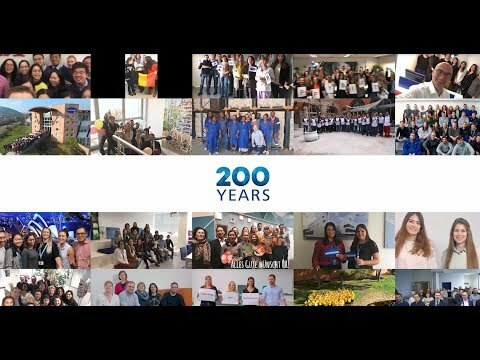 In June 2018, HARTMANN celebrated 200 years! We invite you to see our Evolution of Wound Care - The power of partnership and a commitment to care has fuelled the evolution of wound care for more than 140 years. In Paralympic sports, barriers aren’t necessarily visible. That’s why understanding your identity is key to know your limits. So says Toine Klerks, team manager of Dutch wheelchair basketball teams. Discover how Europe’s hygiene pioneers each contributed to the evolution of hand hygiene to go further for health. The evolution across Europe led to the advanced protection we have today. A new generational wave is coming. Are you ready to embrace the tide? HARTMANN CFO and Labour Relations Director Stephan Schulz opens up about his car racing days, steering clear of university, and putting HARTMANN’s next generation of leaders on the fast track to success. This week we celebrate nurses around the world, the backbone of global health systems. We recognize their contributions, their sacrifices and their passion for healthcare.